Path body represents a spline along which an arbitrary rigid body can be moved. 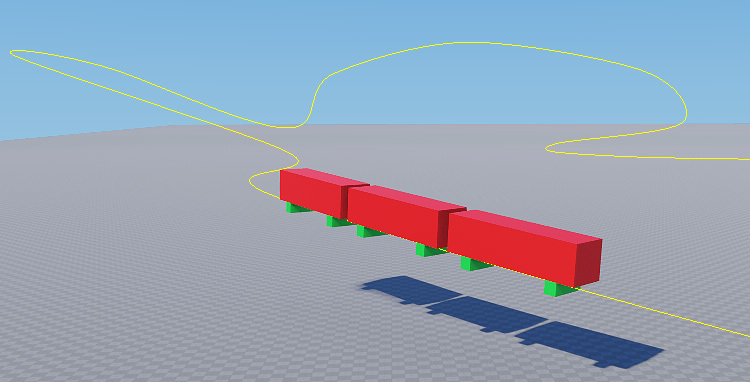 This type of body can be used to create a physically simulated train moving along the railtrack. To connect a rigid body to a path body use a path joint. Assign a shape to a rigid body before connecting it to a path body! Select an object to assign a path body to. Go to the Physics tab in the Parameters window and assign a physical body to the selected object by selecting Body -> Path.